HACKENSACK, N.J., October 18, 2018 (Newswire.com) – Lesnevich, Marzano-Lesnevich, O’Cathain & O’Cathain, LLC, proudly announces that Partner Domhnall O’Cathain, Esq., is a Super Lawyer Rising Star for New York Metro 2018. Domhnall Ó’Catháin (Donny) is a named partner in the Personal Injury Department of Lesnevich, Marzano-Lesnevich, O’Cathain & O’Cathain, LLC. Domhnall represents people who were personally injured as the result of the negligence of others, and families who have lost a loved one as the result of the negligence or malpractice of others. He handles personal injury, wrongful death and medical malpractice cases throughout New Jersey and New York. The Personal Injury Department at Lesnevich, Marzano-Lesnevich, O’Cathain & O’Cathain, LLC, has helped their clients obtain millions of dollars in personal injury settlements over the years. For a list of recent verdicts and settlements, or to fill out a free Personal Injury Case evaluation, please visit: https://lmllawyers.com/personal-injury-case-successes-in-new-jersey. It is a privilege to be recognized in both New York and New Jersey as a Rising Star by the Super Lawyers Magazine. I work hard every day to get the best results for my clients and this recognition means a lot to me. Recognized as a Rising Star by Super Lawyers in New Jersey and New York every year since 2013, Domhnall is among only a handful of attorneys who have achieved this dual distinction.“It is a privilege to be recognized in both New York and New Jersey as a Rising Star by the Super Lawyers Magazine. 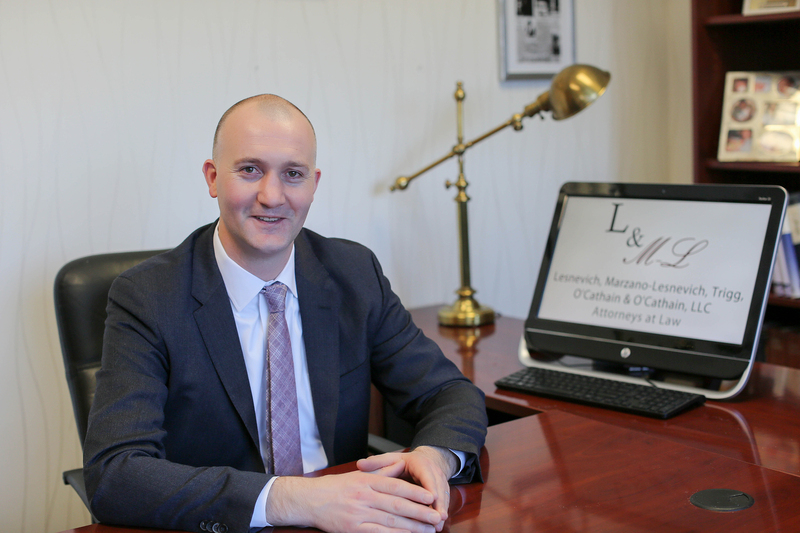 I work hard every day to get the best results for my clients and this recognition means a lot to me,” said Domhnall O’Cathain, Partner and lawyer at Lesnevich, Marzano-Lesnevich, O’Cathain & O’Cathain, LLC. For more information on New York Metro Super Lawyers Magazine, please visit http://digital.superlawyers.com/superlawyers/nyslrs18/MobilePagedReplica.action. Please note the Super Lawyers list and Rising Star selections are issued by Thomson Reuters. A description of the selection methodology can be found at superlawyers.com. No aspect of this press release has been approved by the Supreme Court of New Jersey. For more information on Lesnevich, Marzano-Lesnevich, O’Cathain & O’Cathain, LLC, please visit https://lmllawyers.com or call 201-488-1161. For over 30 years, Lesnevich, Marzano-Lesnevich, O’Cathain & O’Cathain, LLC, has been successfully assisting clients with personal injury law and family law cases in the New York and New Jersey areas. Their roster of highly skilled and experienced attorneys helps clients navigate through each case while always acting in the best interest of who they serve. The firm is committed to providing excellent legal representation for their clients and their families. If you have been hurt on the job or are going through a child custody battle or divorce, contact Lesnevich, Marzano-Lesnevich, O’Cathain & O’Cathain, LLC today and allow their experience to work for you. E-mail: [email protected] or call (201) 488-1161 today.